Is the burger craze ever going to stop? Don't think so. You may as well start thinking what's next on a burger menu? Have a go at this recipe. 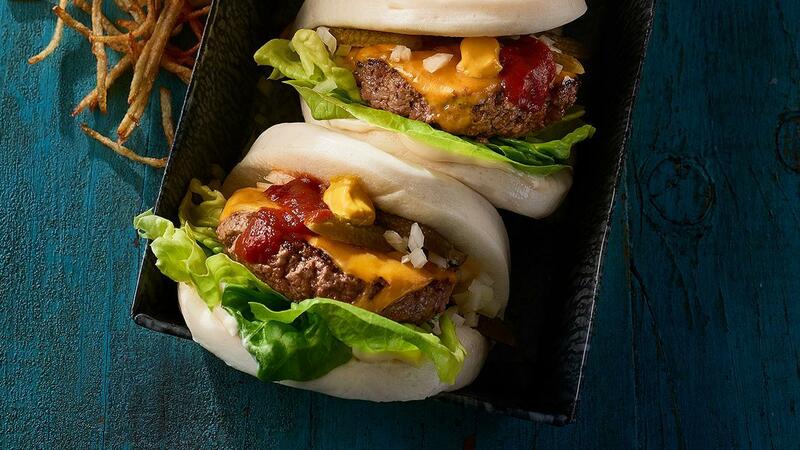 Served in a delicious bao bun, it is perfect to hold in one hand! Season mince and form into patties. Grill, place cheese on each patty and melt. Combine KNORR Pronto Napoli and KNORR American Chipotle BBQ Sauce GF. Assemble the burger as follows - bao bun, HELLMANN'S Real Mayonnaise, lettuce, cooked patty, chipotle sauce mix, mustard, onions and pickles. Serve burgers with angel hair fries.